The emerging practice to grow crops in gorilla grow tents is offering a great alternative for plant enthusiasts. The lack of adequate space is no longer a reason to not produce crops because grow tents provide an even easier way of doing so. Gorilla grow tents are the leading grow tents on the market today. They are known to promote hydroponics; a kind of farming that doesn’t involve using soil. Rather, plants are grown using solutions that have all the nutrients that they require. Utilizing hydroponics in a gorilla grow tent offers cultivators various benefits. For example, the system does not use any type of soil, the entire structure becomes less disorderly. Additionally, growers are able to control the different characteristics of the developing atmosphere using the hydroponic systems. This means that it is possible to regulate humidity and other features like nutrients. It is important to note that the use of hydroponics systems provides scientific and artificial ways in such a way that plants are likely to grow quickly. 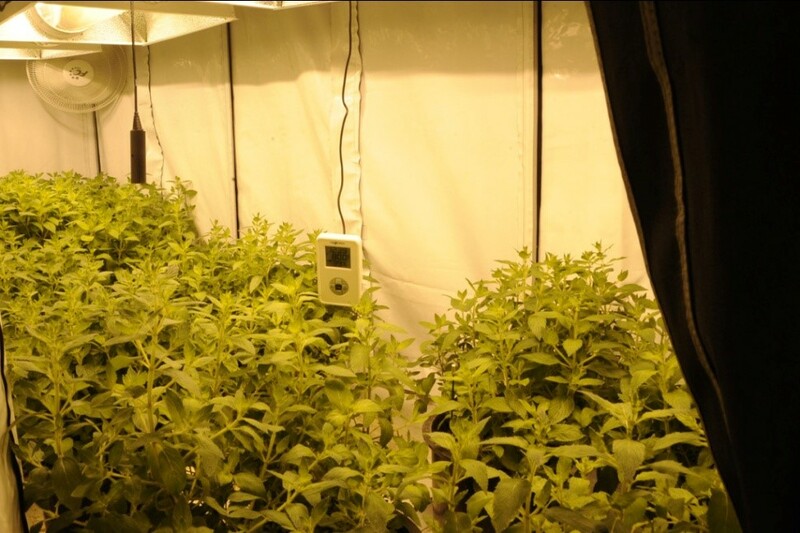 The use of hydroponics in grow tents also helps to produce plants that are of better quality and generally nutritious. This is because hydroponics delivers nutrients that the crops require in order to grow in solution form. The system has given cultivators a chance to grow vegetation in their own homes while maintaining privacy. Organic food lovers have taken advantage of produce grown in these gorilla grow tents because of their nutritional value and freshness. Apart from this, individuals do not have to worry about planting seasons because crops can be grown off-season by the use of this system. Gorilla grow tents also serve a very crucial role in controlling the atmosphere in which plants grow. The tents keep pests out, which, if left uncontrolled would destroy the plants. Moreover, these tents offer conducive climates suitable to ensure a bulky harvest. Depending on the type of plant or crop grown, it is normal for plants to emit a scent that might not be pleasant to some people. Gorilla grow tents are designed with an air purification system that assists in reducing scents. The odor is not confined inside the tent but is cleaned by the air system means. 1.Gorilla Grow Tents are Convenient: With the introduction of small gorilla grow tents, this growing type of investment does not need large amounts of capital to acquire one. 2.These tents come in varying sizes and if you are just starting out on your growing business, you can find a size that suits your budget. Finding the right size that gives you the kind of features that you are looking for will offer you an opportunity to save on resources, particularly money. 3.Gorilla Grow Tents are Portable: This makes it easy to temporarily remove some of their parts in order to make them fit in narrow spaces and reconstruct them again. Additionally, grow tents come in various sizes therefore making them a single best solution rather than constructing a grow room. This also means that whether an individual has a single plant or a whole growth of crops, gorilla grow tents would be the best investment to venture into. and seeing that it does not escape from the tent. 4.Gorilla Grow Tents come with all Contents: Gorilla grow tents are normally sold with all of the contents that are required to get the grow tent up and running. Therefore, it is easy to assemble on your own. Some gorilla grow tents are multi-dimensional which means that they can be enhanced to create more space for plants. 5.Gorilla Grow Tents have an Air Purification System: Another important reason why the use of gorilla grow tents is advisable is because of their ability to purify the air. Gorilla grow tents are fitted with an air purification system that provides clean air for the plants. The grow tents basically have an air filtration system that cleans air by siphoning it from inside the tent using a sieve that is carbon activated and then discharges it outside. This process is referred to as ‘negative pressure’; a process that has been researched and proven to be extremely important in keeping the interior of grow tents garden-fresh with clean air. 6.Low Maintenance Costs: Gorilla grow tents do not need to be maintained at high costs and can be set up in any small space available. Crops that are grown in these tents take a short period of time to grow which also saves on energy. 7.Purely Organic Products: Gorilla grow tents produce crops that are purely organic because no insecticides and herbicides are required to enhance the growth of the plants or crops. When it comes to environmental protection, gorilla grow tents are ranked among the best because these pollutants are not utilized and there isn’t a chance of contaminating our ground water. Like greenhouses, gorilla grow tents are rounded with elastic walls and roofs rather than using glass. If you are setting up a permanent structure for your gorilla grow tent, it is advisable to use corrugated elastic material like those used to construct certain roofs. For gorilla grow tents that are temporary, the use of 8 milliliters of plastic will serve the purpose. The use of non-durable plastics is not advisable as they normally break before the season ends. The design of gorilla grow tents varies from one gardener to another. However, the layout is controlled by the thoughts of the designer. When learning about the disparities in design it is crucial to adhere to a number of concerns. For example, one might be surprised by the temperature changes inside their gorilla grow tent. These are conditions that are dependent not only on the environment within the tent, but also on the weather outside; either sunny or cloudy. Therefore, it is worthwhile to put a thermometer inside the gorilla grow tent to monitor temperature changes that might occur inside. To determine whether you need to open your gorilla grow tent or not depends on the kind of crops that you are growing and the external temperatures. If your plants are not very delicate, then allowing some air to flow inside will not cause them any harm. In cases where the temperature begins to drop, then you need to close the door. Generally, it is advisable to always keep the door closed early enough before the sun begins to set. This allows heat build- up and ensures that your grow tent remains warm throughout the night. This confirms that the heat in the tent will not escape even as more heat builds up. If you are just getting started or contemplating a harvest, we want to set you up for success with our exclusive offer on the Bronze 5x5 grow tent package. This package is meant for anyone who wants to get started on a minimal investment. It is a less expensive equipment that comes with just enough supplies to get your core grow room ready. The package does not include a carbon filter. The filter is sold separately but if odor is not an issue, then it won't be necessary. In this tent you can grow 8 to 16 plants depending on how big they are though, small size is recommended. When you purchase the 5X5 grow tent package, you are ready to go. The only extras that you will need are soil or hydroponics nutrients plus the plants. Read more about the 5X5 Grow tent (Bronze Edition) Place your Order now.